Great Adventures in Malta! 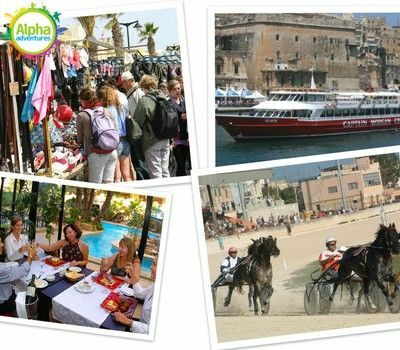 by Adventures - Malta's widest range of exciting tours, excursions & adventure activities you can book alone, as a family or a group. 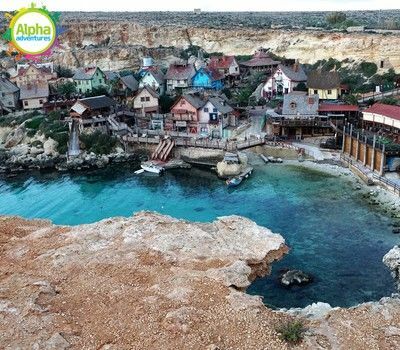 Malta's widest range of exciting tours, excursions & adventure activities you can book alone, as a family or a group. Click to speak to Excursions staff! 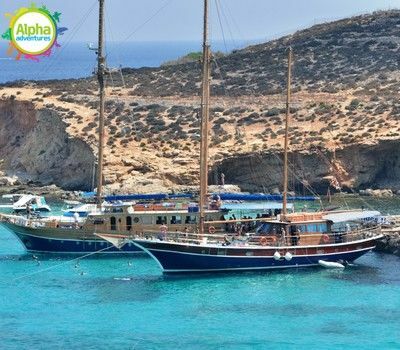 This special activity takes you on board the 23 metre sailing boat, Barbarossa, for an unforgettable sailing trip visiting the Three Islands of Malta, Gozo, and Comino. 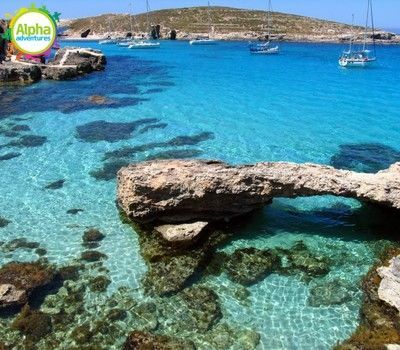 If you enjoy swimming and snorkelling, then your trip to Malta wouldn’t be complete without a visit to the small island of Comino, which is found between Malta and Gozo. 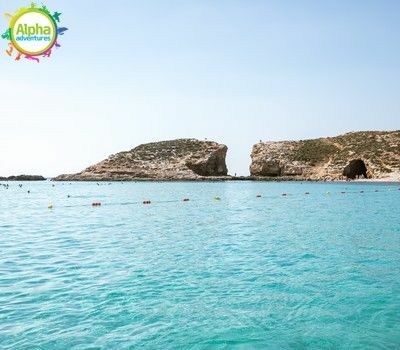 With its crystal clear waters and plethora of caves, it’s got to be one of the most beautiful places in the archipelago. 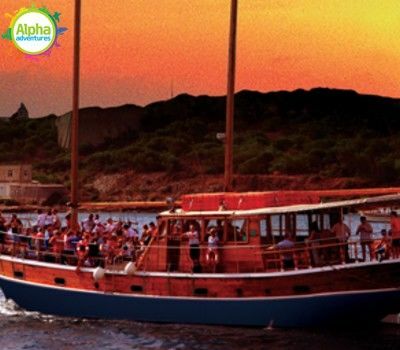 Cruise in style and comfort on board our luxurious boat as you enjoy the beautiful island of Comino and the transparent, cyan waters of the Blue Lagoon during our Comino Sunset Cruise. 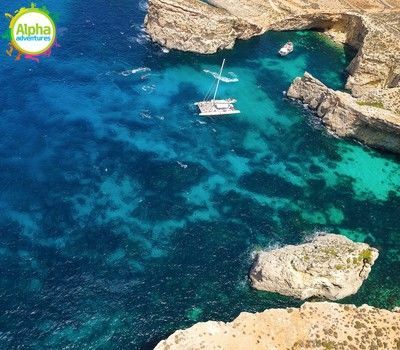 This full day activity fuses together a Jeep Safari tour on Gozitan terrain and a stimulating voyage on board a speedboat! 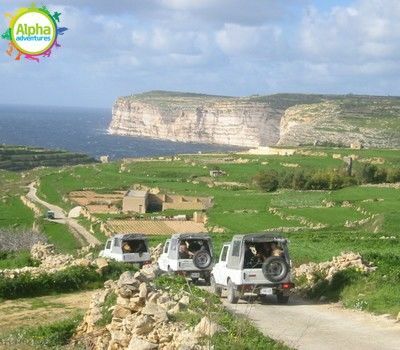 This activity consists of half a day of exploring Gozo whilst experiencing the full thrill of a jeep safari, followed by half a day of boating around Malta's picturesque island of Comino. See St. Paul’s Bay from the sea! 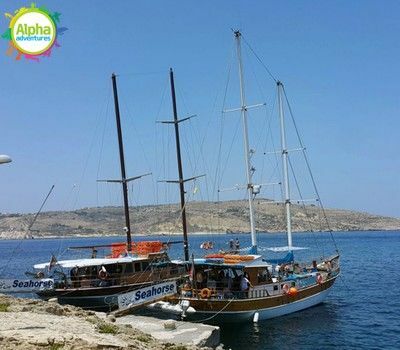 Our St. Paul’s Island Cruise allows you to see St. Paul’s Bay and Bugibba from a relaxed, sea-bound perspective! Get on board with this unforgettable cruise that shows you what the Gozitan coastline is all about. 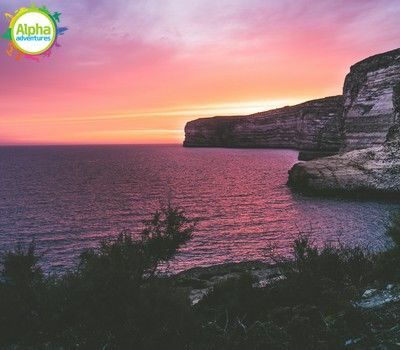 Leaving from Bugibba Jetty at 10.30, you will be able to see the Cliffs of Ta'Cenc as you sail towards the sister island of Malta, and many more! Relax on board a luxury yacht whilst listening to a detailed commentary of all the points of interest you pass along the way. 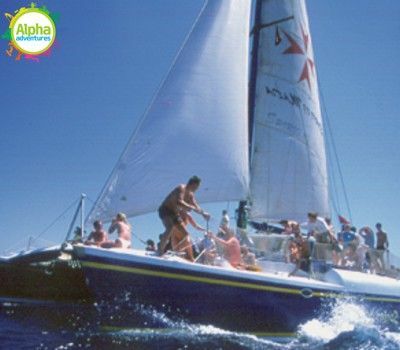 An exclusive fun day on board the large catamaran - 'Spirit of Malta'. 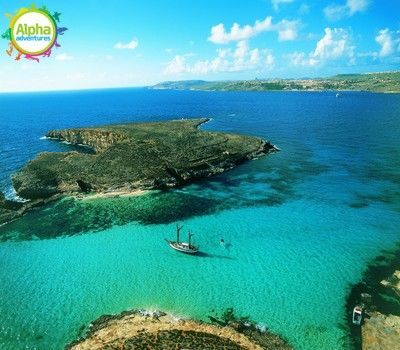 The boat departs from Sliema at 10.30am, and sails to a variety of scenic bays in Malta, Gozo, and Comino. 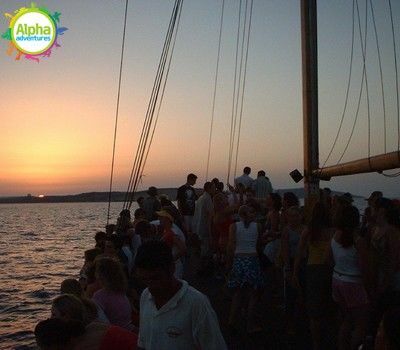 This full day activity sailing on a catamaran, a gorgeous multi-hulled ship that serves free drinks throughout the day, is the perfect way to enjoy a relaxing day at sea. 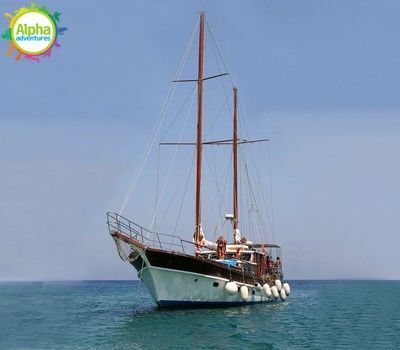 This adventure combines an action packed morning of jeep safari with a long afternoon sailing on a catamaran - a gorgeous multi-hulled ship that serves free drinks throughout the day. 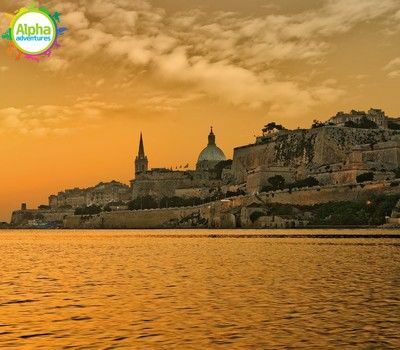 View Valletta’s spectacular fortifications from the sea! Ideal for people who enjoy water sports and an adrenalin rush, wakeboarding and waterskiing are an absolute must! Wakeboarding involves riding a board, or wakeboard, over the surface of the water whilst being pulled along by a power boat. Brilliant! Alpha Adventures offers the widest range of exciting tours, excursions & adventure activities you can book alone, as a family or a group. Alpha School of English offers a wide range of English language courses. Visit our other website www.alphaschoolmalta.com. 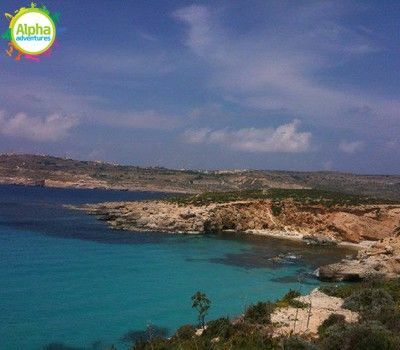 Alpha School of English is licensed by the Malta Tourism Authority (Licence Number 35-0026).